There are many benefits to utilizing cloud services. For some businesses, cloud services are the best way for employees working in different locations to remain informed and work collaboratively. Cloud services can also reduce the initial investment for new businesses, help businesses get started faster, and help with budget planning. Unfortunately, like most things, there are drawbacks to consider with the benefits. 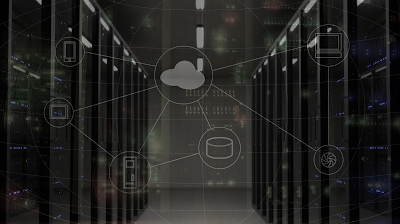 This post covers four reasons why it is important for any business, and some individuals, to have a backup plan to cloud services. Cloud services rely upon internet accessibility. If the internet goes down, all devices on the network lose the ability to access cloud based services, applications and files. This can cause lost productivity, lost sales, loss of reputation and much more depending upon the type of business. Below is a list of potential issues and some ideas for workarounds to get you questioning what weaknesses your business may have and what you need to do about them. Depending upon your network, there can be many types of hardware failure. The most applicable to this post are the internet modem and access points. If the device provided by the Internet Service Provider (ISP) fails, your network may be down until a replacement can be obtained. Sometimes a simple reboot will fix the issue, but eventually all hardware needs to be replaced. If devices are connecting to the internet via a wireless network and that access point fails, some or all users will lose access. The types of issues, and therefore workarounds, will depend upon the network design. One thing that is important to every network is to have the support number for your internet provider as well as the account number available for quick reference when issues arise. Depending upon the provider, it may make sense to keep an extra modem in case the hardware ever fails. NOTE: Not all providers allow any device to pass traffic. Some require the device's MAC address to be registered first. This can be done with a phone call. Other providers only allow devices provided by them. It is important to follow up with your provider to find out what restrictions, if any, apply. If you have a wireless network, it might make sense to keep an extra access point in case one fails. If it is a really small office, keeping some long Ethernet cables to physically connect devices might be appropriate. Keep in mind not all laptops and tablets have network ports so cables may not help all the devices on a network. Also, be sure the that switch the devices will be plugged into has enough ports to connect all devices. Without internet access, any VoIP phones will stop working. Older, more traditional phones used an analog signal and expensive hardware to manage phones. By contrast, VoIP phones use digital signals and pull their configuration from the internet. Stand-alone phones can be implemented with ease, are programmed using a cloud interface, and do not require expensive on-site hardware. Most VoIP systems have what are called soft phones that can be used in place of physical phones. A soft phone is an application that runs locally on a smart phone or computer that can send and receive calls on behalf of the business. These applications can be quickly downloaded and once logged in, calls will forward to them. Another potential workaround would be to log into the cloud interface using a smart phone or other device with its own internet access, and forwarding extensions to other remote offices or cell phones until internet access is restored or a longer term solution can be found. If you use applications like Office 365, Adobe Creative Cloud or others, losing internet access can mean lost access to files. Email stops being delivered and files stored online are inaccessible. This can also include applications or other software as a service (SaaS) subscriptions. Losing access can be devastating depending upon your business type and how you store your files. Another way losing file access is detrimental is for those working in professions that rely upon regularly updated external information. Examples of those professions affected are real estate agents, loan officers and financial advisers. The best workaround for this issue is to be proactive. If you have a presentation coming up, a board meeting, a report that is due, or some other very important file, keep a local copy of the file or email it to yourself as a precaution. The last thing you will want to deal with when the item is due, is regaining access to it. Another way to be proactive is to have a secondary location available to you and your employees. This may be a home office, renting a work-space on an as-needed basis. Lastly, you can invest in mobile WiFi hotspots or a secondary internet connection with fail-over capabilities. Mobile WiFi hotspots and secondary internet connections require more of an up-front investment and are more typical with larger businesses. Last but not least, we would be remiss not to mention the possibility of the cloud service being unavailable. While it is rare for larger cloud services to go offline, it is not impossible and it does happen. Most providers will notify of planned upgrades which may cause an outage, but there are times when an outage is unplanned. Always be prepared. Ultimately it is your responsibility to meet whatever demands you are under. If you have an important project, keep a copy of those files somewhere you can access them if anything happens. Planning for the what-ifs should be a part of every business's routine if they want to be successful and maintain continuity. Whatever type of business you have, or even if you are a consultant working alone, everyone has important files. It is common to access and store those files in the cloud as cloud services can be more cost efficient. They also help keep staff in multiple locations running smoothly. Unfortunately, losing access at a critical time can be a catastrophic loss whether it is caused by a hardware failure, loss of internet or the cloud site is simply unavailable. This is why planning for the what-ifs will help prevent hardship and increase your business continuity. As always, knowing the drawbacks to certain technologies is key in planning for those times when everything is not working as expected!